Most people love her. The Christmas season in Cologne has begun and not only the Christmas markets in Cologne have begun, but there are also many other Christmas events in and around Cologne. Your diary is not fully booked yet and you are still looking for suitable events during the Christmas season? We’ve put together the coolest events for you so you don’t miss a thing. At Christmas there are always a lot of great events, which are not always quite cheap. Here are the top 8 events for which it is really worth it to sacrifice money and time. How often do you go to the theater? Most of them don’t find enough time or the right company in their everyday life to go to the theatre. The comedy “Christmas on the Balcony”, which is performed in the Theater am Dom, is very worthwhile. Here you also feel when you come alone, not out of place. The arrangement of the rows of seats gives a feeling of community and shared joy. It is laughed together, because six actors play 12 roles at the same time and only on 2 balconies. Theatre lovers should not miss this play at all and even newcomers to the world of theatre can let themselves be inspired by it. 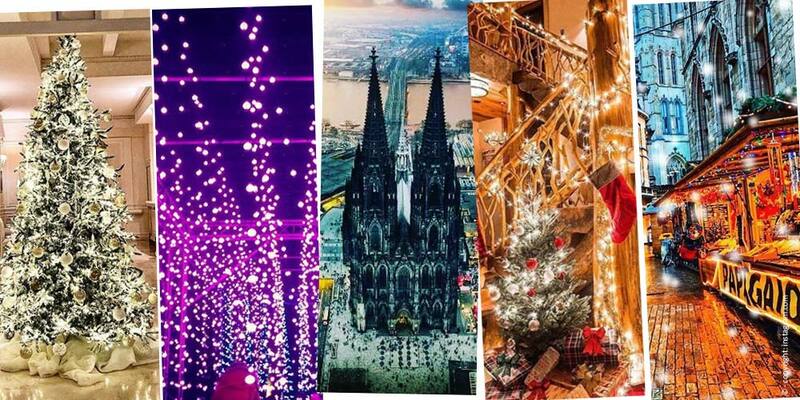 On December 7, Cologne’s biggest Christmas party will take place in the LANXESS Arena. Here you will find a Christmas show with Cologne stars and a huge Christmas market with various delicacies. You have to spend a little more money for this event. The cheapest ticket for this event is 89,00€. This price then includes 4 beverage vouchers, 3 meal vouchers, 1 confectionery voucher and of course admission to the show. So you’ll get full in any case and you’ll get a great show on top of that. If you don’t want to miss this event, you can get it here: Tickets. It is worth visiting a Christmas market every year. The scents and the atmosphere on a Christmas market let you get really into the Christmas mood. In a city like Cologne, there are many different Christmas markets every year. In Cologne there is something for every taste. In our article Top 10 Christmas Markets in Cologne, we have selected the best for you. The ice rink at Heumarkt is a spectacle every year. Under 10,00€ you can go round with friends or family and enjoy the Christmas season. If you like, you can combine ice skating with a leisurely stroll through the Christmas market Heinzel’s winter fairy tale. After you have turned your rounds on the ice, you can usually eat a hot crêpe or a small mushroom pan very well. If you want to change your eating habits at the Christmas market, read the article: Christmas – Food – Trends. If you want to visit several Christmas markets on one day, you can take a train from one Christmas market to the next in Cologne. Especially for tourists who don’t have much time to discover everything in Cologne, it is very convenient that they can visit the most important Christmas markets in Cologne in a relatively short time. The Bimmelbahn takes the passengers to the Christmas markets: Market of the angels at Neumarkt, market of the Heinzel at the old market, to the harbour – Christmas market at the chocolate museum and to the Christmas market at the cathedral. From 23 November 2018 to 20 January 2019 you have the chance to admire Phantasialand as a winter dream and feel comfortable there. There are breathtaking fireworks every day, Christmas treats, Christmas shows, rides, a water train and a fantastic backdrop. The cheapest tickets are available from 29,50€. A day will definitely be unforgettable! There are several places near Cologne where you can make a real event out of buying a fir tree for your home with your family. Especially for the children it is usually an unforgettable day. The advantages: The children are “exhausted” and one can see how his tree will look in the living room and does not buy the “cat in the bag”. If you have a car at your disposal, you can drive to the Hückeswagen, 40 km away, and choose a Christmas tree, saw it off and drink mulled wine on the second and third Advent weekends, or between 18.12. and 23.12. from 9:30 am. A Christmas circus will take place from 06 December to 31 December in Cologne-Mülheim. Let yourself be enchanted by unbelievable tricks and a dreamlike Christmas fairy tale. Ticktes are available in the cheapest category from 21,00€. If this is still too expensive for you, if you go there with one person, you can use one of the partner days to buy a ticket for two persons. Also as a family there is the chance to get away cheaper. For 150€ you get already four tickets in the cheapest category here. FIV wishes you an unforgettable Christmas season!